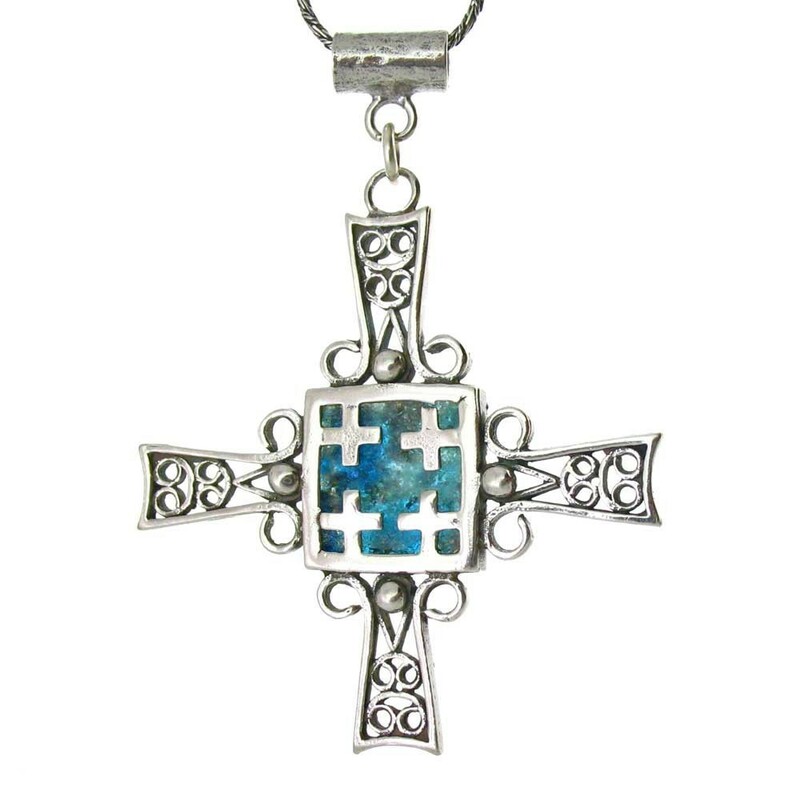 This sterling silver pendant features the Jerusalem cross where the four smaller crosses are thought to signify the directions in which the word of Christ spread out from Jerusalem. Our designer in Israel, Michal Kirat, is a resident of Tiberias. 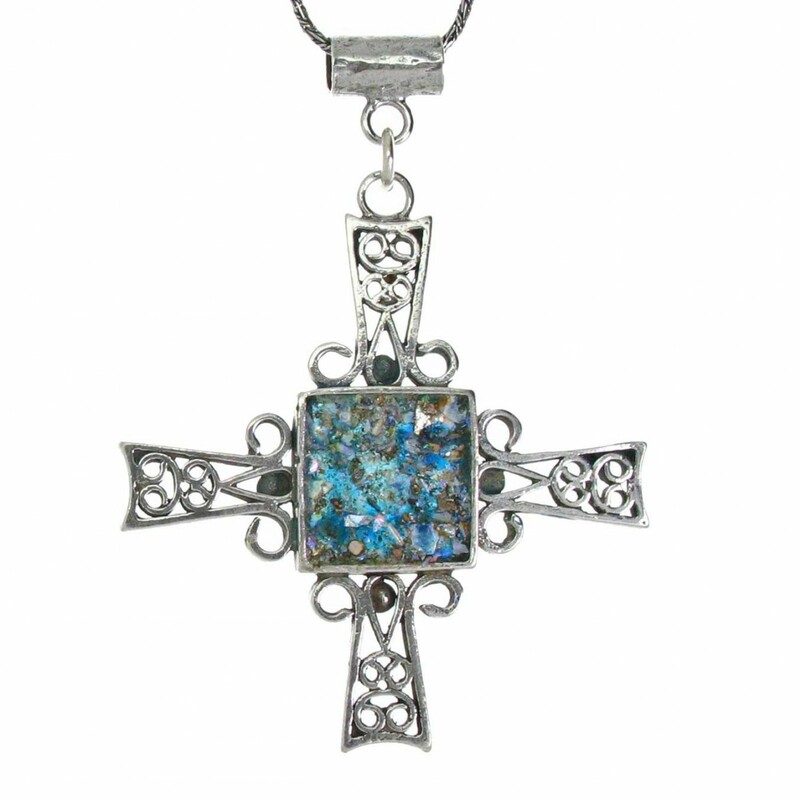 She designed designed this cross in such a way that you can flip over the pendant giving you two pieces of jewelry in one. The Roman glass in this cross has the beautiful colors that only developed over the past 2,000 years while the glass lay undiscovered in the Israeli desert. Your pendant will arrive complete with a 17" sterling silver necklace in gift packaging along with a Certificate of Authenticity from the artisan in Israel.